People cannot apply for the scholarship, which is worth €3,000 a year, unless they have applied to the CAO and have chosen a WIT course. The WIT President's scholarship programme which encourages and rewards inspiring young people who demonstrate a capacity to shape a better society is taking applications until 5.15pm on 1 March 2019. 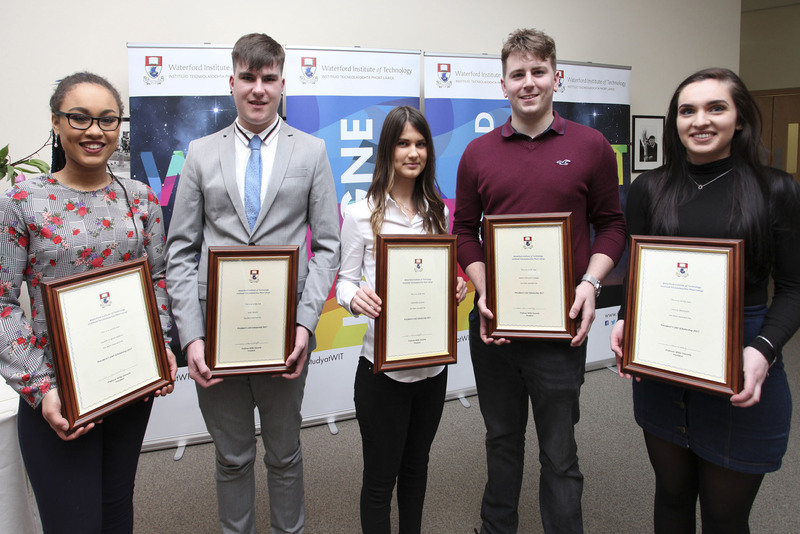 Previous scholarship recipients hail from across Waterford, Dublin, Cork, Limerick, and Wexford counties. There will be one scholarship available in each of the five disciplines: Business, Engineering, Health Sciences, Humanities, Science & Computing. Each President’s Scholar will receive a bursary of €2,000 per year of study (to be paid in instalments) along with €500 per semester for student services. President’s Scholars will have advanced entry to their selected course (Round Zero in early August) and will also be part of the Student Ambassador programme for the duration of their studies, representing the Institute and the academic school in which you study. People can make a CAO application by Thursday, 1 February 2019 (5.15pm), choosing the WIT course preference and apply for the WIT President's Scholarship before Thursday, 1 March 2019 (5.15pm) using the online form on www.wit.ie/caoscholarship. People who wish to change CAO course preference, can use the CAO's online facility to amend course choices up until 1 March 2019 at 5.15pm. Louise McGrath, a past pupil of John The Baptist, Hospital, Co. Limerick a student on the BA (Hons) Culinary Arts degree in WIT’s School of Humanities. Dominika Kuzniar, a past pupil of Presentation Secondary School, Waterford, a student on the Bachelor of Architecture (Hons). James Conway, a past pupil of CBS Secondary School, Mitchelstown, Co. Cork, a BSc (Hons) Agricultural Science student. Seán Walsh, a past pupil of Mount Sion CBS, Waterford, is a Bachelor of Business Studies (Hons) student. The 2018 President’s Scholars will be announced at a ceremony at a later date.